Rockstar Games has debuted the first episode in a new series of Gameplay Videos for its upcoming open-world western shooter, Red Dead Redemption 2. Captured in 4K resolution from a PS4 Pro console, the new trailer dives deep into the rugged heartland of America and reveals how players will interact with the world and its inhabitants as protagonist Arthur Morgan. Set in 1899, Red Dead Redemption 2 tells an epic tale of life in America’s frontier at the dawn of the modern age where the wild west is dying, and lawmen have begun to hunt down the last remaining outlaw gangs. In this gameplay showcase for Red Dead Redemption 2, we’re introduced to Arthur and his gang, who are forced to flee the western town of Blackwater after a robbery goes bust. They must then rob, steal and fight their way across America’s dying wild west. 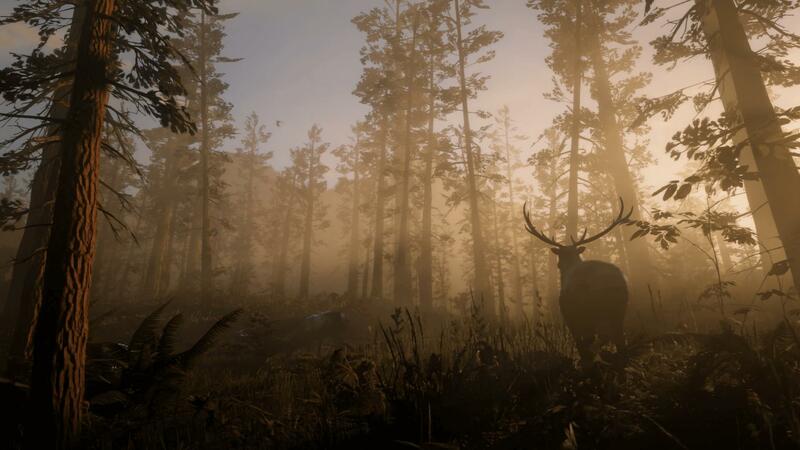 The gameplay video is also presented in true Rockstar Games fashion, featuring a narrator who walks through each of the different aspects being shown off in Red Dead Redemption 2. 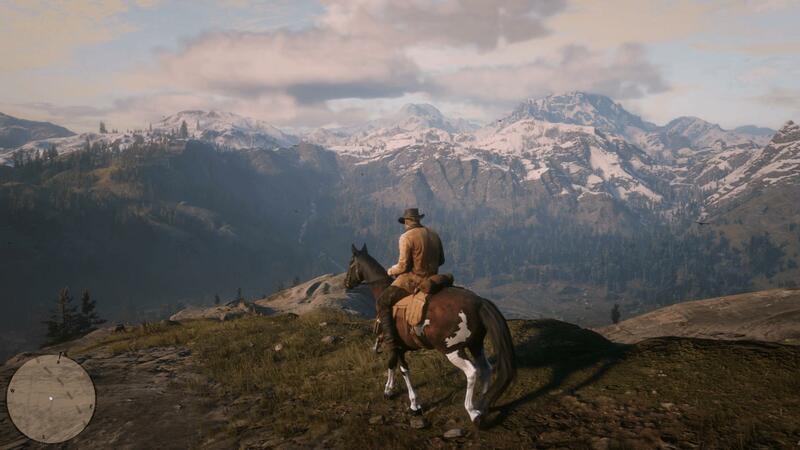 It begins with some beautiful vistas of America’s heartland, offering us a further glimpse of the upgrades and advancements that have been made to Rockstar’s RAGE engine. This isn’t just in terms of the landscape, skyboxes and foliage, but also the character models and how they interact with the world itself. With Red Dead Redemption 2, Rockstar aims to create a deep, living open-world experience, one which combines action, story-telling and gameplay in new ways as you live, rob and fight to survive as an outlaw in a notorious, rebellious gang. The first episode in this gameplay series focuses on a general introduction to the gameplay of Red Dead Redemption 2, offering a glimpse of the different locations players will be able to discover. These include harsh mountain trails and dense forests full of wildlife and beauty, untamed swamplands and sweeping deserts, rugged livestock towns and modernizing cities, and much more. Each time Arthur and the Van der Linde gang are forced to flee an area, they’ll have to setup a new camp to act as a base. This is where the gang members eat, sleep, perform chores, play games and share stories. The people at camp are those who Arthur considers to be his family, and you’ll be introduced to each gang member over the course of the game. If you help the camp with food and supplies, the overall morale will be high, and if you spend time with them – you might learn new secrets, or even discover fun things to do with opportunities for mischief in America’s vast and rugged heartland. The world is also alive, and always responds to the player. 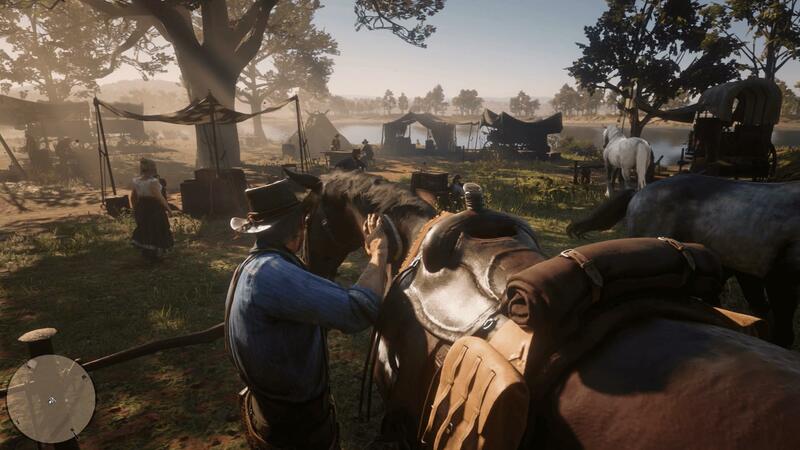 You can make choices based on how Arthur interacts with those in the world by calling out to a passing horse rider, talking yourself into trouble with a local tough guy – or even talking yourself out of trouble with the town sheriff. Perhaps you’ll intimidate a witness into silence? The choice is all yours, and Rockstar showcases how these confrontations can be escalated or diffused. You can form friendships by saving other characters, such as those trapped or hanging off a ledge. Your can even make enemies. Your actions have consequences, and it’s up to you to decide just how honourable Arthur is in the world of Red Dead Redemption 2. Rockstar Games has also made radical improvements to the shooting and fighting mechanics in its open-world western to make combat deep and engaging at all-times. Each weapon also has unique characteristics, with realistic reload and recoil backed by staggering animation work. These have been designed to keep the player grounded and connected to the action in a gunfight, with the impressive Euphoria gameplay physics used in Grand Theft Auto IV and Red Dead Redemption making a return in this game. One scene in the video also shows Arthur cleaning his revolver, because looking after your most beloved possessions will be important in Red Dead Redemption 2. Similarly, the bond you form with your horse is crucial, and changes based on your treatment of the animal. Some breeds are also better suited to certain tasks, with the saddle and saddlebags allowing you to store additional weapons and other useful items, including supplies and animal carcasses you pick up from hunting. Overtime, the bond between Arthur and his horse will grow and develop based on how the player treats and interacts with his mount. A stronger bond means it’ll be easier to control your horse in tense situations. The American frontier, its forests and swamplands are also full of other animals, including dangerous predators like crocodiles, bears and wolves, as well as prey and scavengers – all smart, and sometimes deadly. When you wound an animal, you’ll have to track them down to take their carcass. These can be mounted upon your horse and brought back home to feed the camp, but the meat and pelts can also be sold to local butchers for profit. Money can be spent at general stories, gunsmiths and saloons. 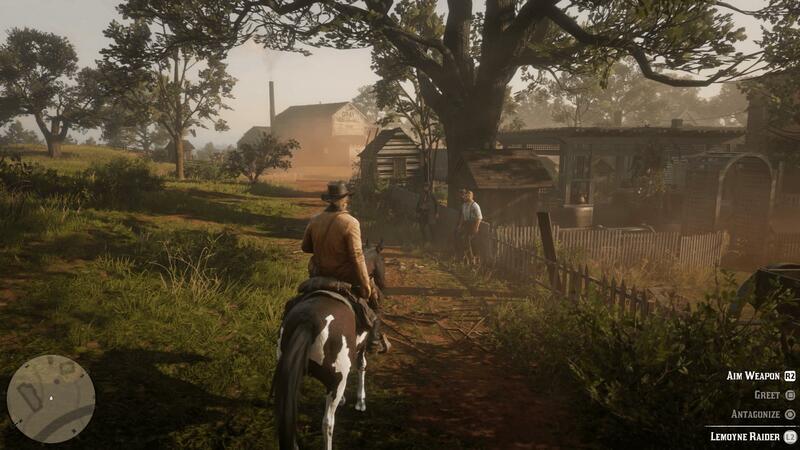 Red Dead Redemption 2 offers a world built to be rich in depth and detail, designed to be explored and discovered either on horseback or on-foot as you live the faithful journey of a gang of outlaws on the run across the rugged and cruel heartland of America’s dying wild west. 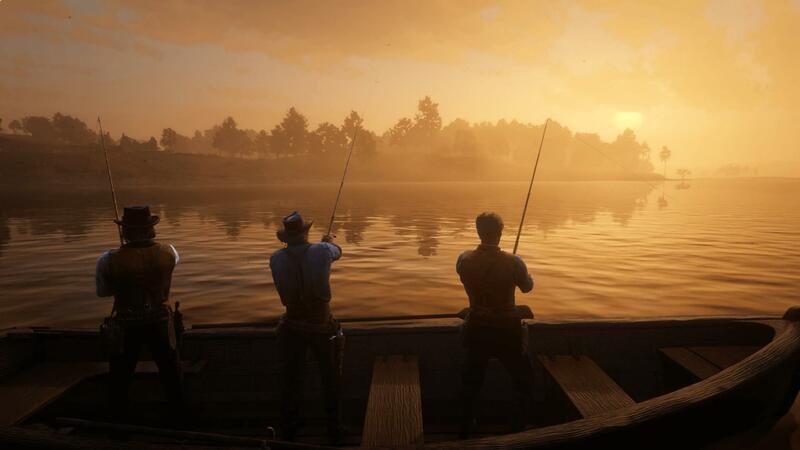 In the second episode of Rockstar’s Gameplay Videos series for Red Dead Redemption 2, we’ll see the missions Arthur and the Van der Linde gang will undertake – including a heist-style train break-in, as well as the game’s rich assortment of activities, like fishing, enemy gangs, robberies and more – including an evolution of the sharp-shooting Dead Eye mechanic from the original Red Dead Redemption. Red Dead Redemption 2 makes its eagerly-awaited debut on Xbox One and PlayStation 4 consoles on October 26th, 2018. Pre-orders are live across both retail and digital storefronts, with a Standard Edition, Deluxe Edition and Ultimate Edition all available to choose from. There’s also a Collector’s Box, which includes a variety of physical items, but without a copy of the game. For more on Red Dead Redemption 2, don’t miss our breakdown of the latest cinematic story trailer, as well as all the news recapped from the game’s preview articles and our feature piece on why it’ll be the biggest technical marvel of this console generation.